A New Shot at "Dallas"
The big daddy of the nighttime soaps returns to reclaim the oily landscape it helped create. "Dallas," with its debut in 1978, spawned the era of the modern nighttime soap opera, tapping a gusher that's fueled efforts from "Dynasty" through two incarnations of "Beverly Hills 90210." But the deliciously nasty, naughty and overwrought saga of a battling Texas oil family also exercised an influence that extends far beyond campy primetime drama. Over the years, the trashy television art form created by the “Dallas” team mutated and seeped into so-called Reality TV, with various Kardashians, Hiltons and Real Housewives trying to mine manufactured spats and silly rich people problems for ratings. They've never been able to stack up to the fictional, yet less-cartoonish Ewings, who are back at Southfork Ranch after a two-decade absence. The big daddy of the nighttime soaps returns Wednesday, via TNT, to reclaim the oily TV landscape it helped create. CBS’ original "Dallas" gripped the popular imagination because it was, above all, fun. The over-the-top feuds, the internal family back-biting against the backdrop of a gleaming glass city and verdant ranch built on oil, proved irresistible escapism at a time when the country was short on natural energy and money. Still, “Dallas” came with a wink-and-a-nod tone that kept viewers from taking the characters’ raw power plays too seriously – even if the cliffhangers kept us coming back for more. 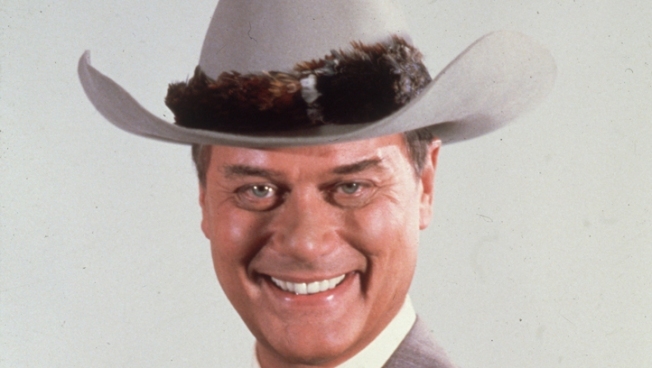 The mystery of who shot Larry Hagman’s devious J.R. character became a national pop-cultural obsession, perhaps unimaginable now in our far more segmented entertainment media age. The 1980 “Who Shot J.R.?” drama started the show’s no-gimmick-is–too-outrageous (or shameless) ethos. When Patrick Duffy’s Bobby Ewing returned from the dead in 1986, a year after the actor left the show, the previous season simply washed away with a shower and a dream. Duffy, at 63, is back for the new go-round, as are 80-year-old Hagman and Linda Gray, 71. Sure, the requisite attractive young actors recruited to pump new bad blood into the old Ewing rivalries likely will get most of the tube time. But we’re most looking forward to seeing how an aging J.R. schemes his way through a changed world in which “going green” is more about saving the Earth than making money. It’s a safe bet that J.R. is bent on leaving this planet as a member of the One Percent – at all costs. Part of challenge for the new “Dallas” is to recapture spirit of the original show – and restore the no-so-good name of fun trash TV at a time when watching unabashed junk brings too much guilt and too little pleasure. Check out this preview as you decide whether to give "Dallas" another shot.